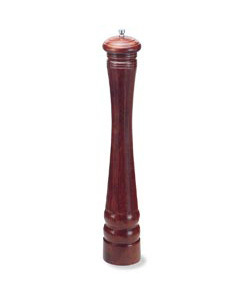 The same pepper grinder mill you will find in fine restaurants all over the world. Our walnut finish Hotel Mill is fully adjustable from a coarse to a fine grind. Does not come filled with pepper. In Stock. Quick Ship Item. Available for Store Pick-up.